2018 has been a busy year for Newcastle Swim Team member Adam Wilson. Not only has he been juggling a packed training schedule alongside his GCSE revision, he has competed in several major swimming events, including his first ever open water swim. Adam qualified in the 1500/800/400 freestyle, 200/400IM and 200 fly for the 17/18 year old category at the British Summer Nationals, where he came 8th in the 400m final and 6th in the 1500m free style. Up for an even greater challenge, Adam competed in his first ever open water swimming event, which he undertook with no prior training, as he didn’t want to disrupt his normal training schedule. He qualified for the 5k Open water again competing against the best 17/18 year olds in the country. This was also his first 5k competitive swim so understandably he was really pleased to finish 17th in the whole event and 8th in the 17/18 year old category. 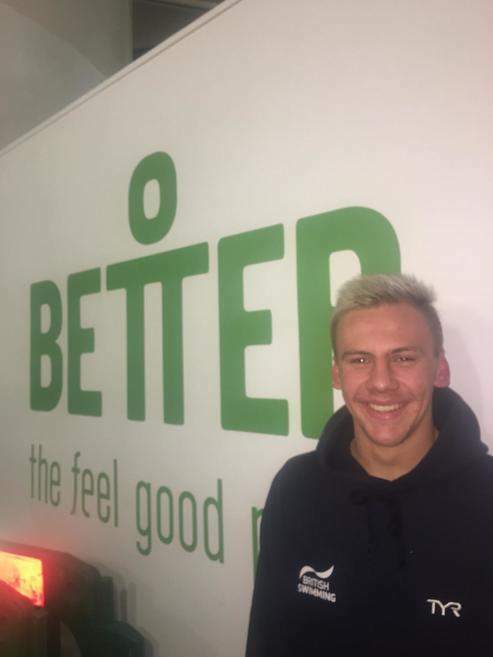 Adam trains with the Newcastle Swim Team at Better, West Denton Leisure Centre and Better, East End Pool. The funding provided by the GLL Sport Foundation allowed him to purchase a wetsuit for his open water swim event and the remainder is going towards a swim camp he attended with the club in Mallorca in October.